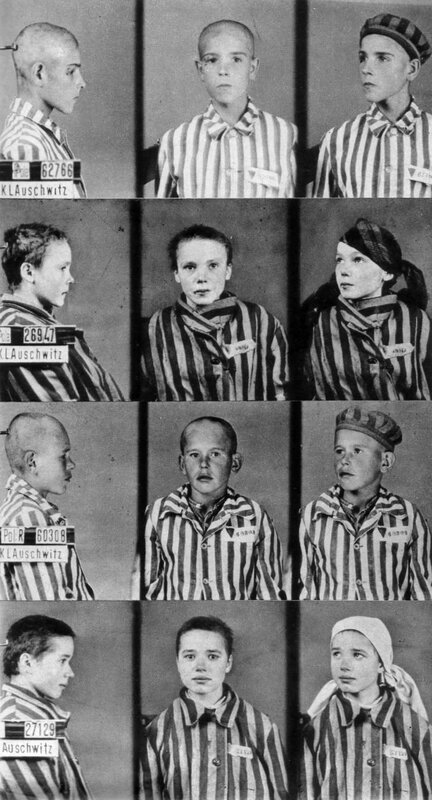 Recording photographs of prisoners of children at the Auschwitz – Nazi concentration camp. In the second photo from above, a 14-year-old Polish girl Cheslava Kwok. During the shooting, according to the photographer’s recollections, the Nazi warder struck her in the face with a wooden stick. It is evident that the girl is tear-stained and her lip is broken. Three months later, after entering Auschwitz, she died.